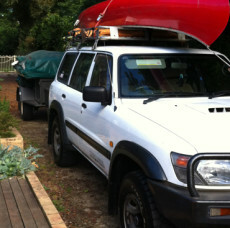 It’s that time of year when lots of Australians are getting ready to head off on holidays, many of us on a road trip. A long trip is a serious test for your car, even a small problem such as a worn windscreen wiper or an out of balance tyre can cause a lot of trouble. Whether you are driving a short distance or across the country here are some tips to ensure you and your family are prepared for your next adventure. About 2 weeks before your trip, either check the basics such as oil, water, battery, tyres, hoses & wiper blades yourself or book in for a check-up with a qualified mechanic. It would also be a good idea to do a quick run up the local freeway to listen for noises, feel for shakes and watch for trouble signs in the gauges. Don’t assume everything is fine because you drive your car every day. Turn off the radio and focus on your car, do you hear grinding or moaning from the wheels? That could be a bad wheel bearing or a worn CV joint. Does the car pull to one side? Check for alignment problems or worn tyres. Does it shimmy or squeal under braking? Might be warped rotors or worn pads. Does the brake pedal feel soft? Might mean worn pads or bad fluid. Getting new brake pads is fairly inexpensive, but if you wait too long major damage can occur, putting a major dent in your holiday fund. Don’t leave a check with your mechanic till the last minute give yourself at least a week before you set off. 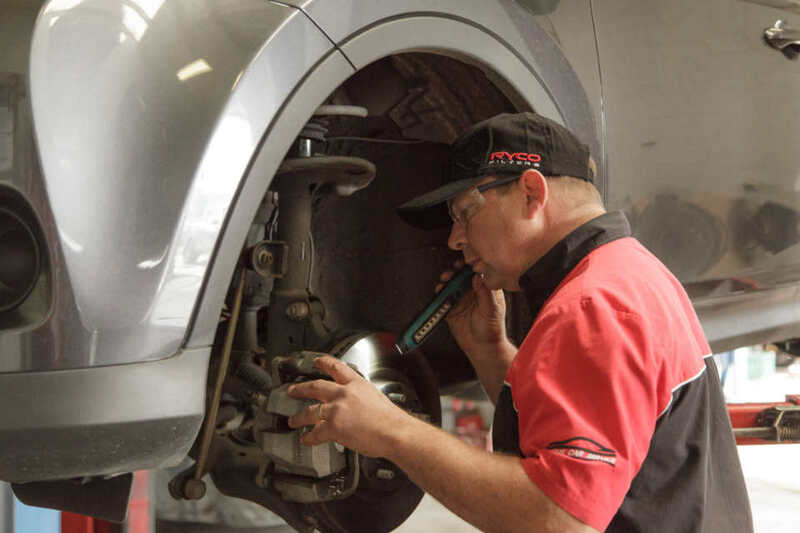 If you are within 1000 km’s of your next service and you are going on a long trip, get the service done early. A good mechanic will give you sound advice, using quality parts to protect you and your family. Save 10% on fuel by changing your air filter. Test results show vehicle air-to-fuel ratios and power output for engines operating with dirty air filters, commonly caused by under servicing, can result in an up to 10% decrease in power and efficiency. So whether it’s up the Pacific Hwy or down the Hume, think about that economy for your next road trip. Got kids in the car or allergy suffers? The cabin air filter is a vital component that is hugely responsible for the comfort and health of your passengers. The Ryco premium cabin air filters that we use are designed to trap 98% of harmful airborne particles that can cause headaches, nausea, asthma and other respiratory issues. As an added bonus a new cabin air filter can improve the power and efficiency of your air con. Stay charged. Check your battery to make sure it’s strong and has clean terminals. Inspect your tyres for any tears or bulges in the sides, check the tread, for depth (wear indicators) and for any nails or foreign objects. Check your tyre pressures and don’t forget to check your spare. Check everything works! Check your 12V outlets work, along with (if using) your GPS, power inverter and phone chargers, you will be relying on these on your trip, so best to make sure they work. Go ahead and push all the buttons, make sure your windscreen washers work, check your lights all work. Check your first aid kit, is everything in date, do you know how to use it? Break out the tool kit that came with the car, does the jack work, do you have everything you need to change a tyre, including air in the spare tyre? What ifs? Consider what you would do if you break down, do you have roadside assistance, does it adequately cover you? Is your licence, registration and car insurance up to date? Are you going to a remote area? Do you need extra water/food in case of breakdown, or a satellite phone or two way radio? Do you need any other appropriate safety gear? 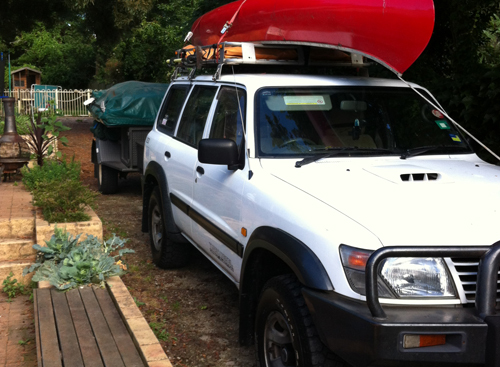 Pack Smart – Check your vehicles load capacity and make sure you aren’t overloading your car. Be aware fuel economy is reduced with extra cargo. Rooftop carriers should only be filled with light bulky items. Heavy loads can make the vehicle more difficult to handle in emergency situations and can increase the risk of a rollover. Consider checking off car maintenance items before you leave, because if your car acts up later, it could ruin your whole holiday. Nobody wants to be stranded in the heat on the side of the road or at a grimy service station waiting for a radiator hose to be delivered from Japan! Not to mention the cost of towing and the repair bills. Take time, take care and drive safely. 1 Response to "Holiday Road Trip Checklist"
Excellent Article! Timely too 🙂 Keep them coming!